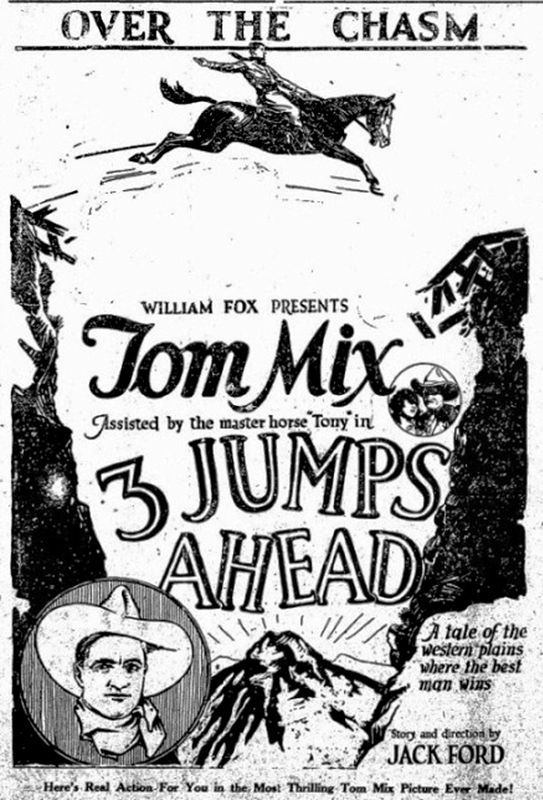 SCVHistory.com | Tom Mix | Advertisements for '3 Jumps Ahead' (Fox 1923). Advertisements for "3 Jumps Ahead." 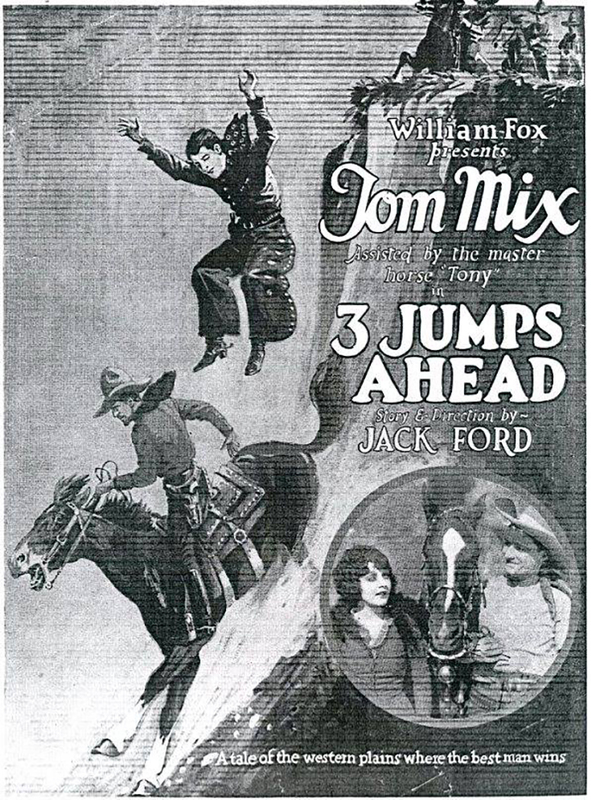 A William Fox Picture 1923 | Directed by John Ford (as Jack Ford) | Starring Tom Mix and Tony. Daily Clintonian (Clinton, Okla.), Dec. 7, 1923 | Click to enlarge. Advertisement courtesy of Stan Walker.